Jennifer Bronson and I created a little “catalog” of a selection from the Chemical Alterations series. 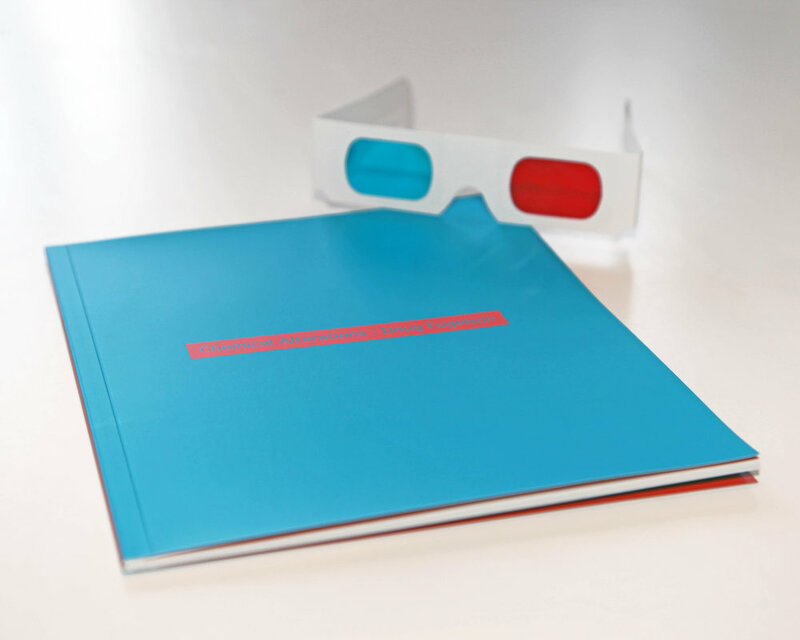 It is a fun edit and layout, made even more special with the use of 3-D glasses (enclosed) though not necessary by any means. The glasses can -at times- really activate the colors from the film’s component layers. Closing one eye and then the other reveals different details. Contact the studio if you would like to purchase one of these: $50. w/shipping via media mail (US).